Clan Spotlight: First In, Last Out celebrates their 5th year anniversary! Recently, World of Tanks celebrated its 5th anniversary for the EU region. We weren’t the only people with reason to celebrate as the First In, Last Out clan, also known as [FILO], also turned 5 recently. This is one of the longest (if not the longest) serving active clans on the EU server, which is an awesome feat! To learn more about this long-standing pillar of the community, we spoke to Clan Commander Nikitaq and other members of his clan regarding the history of their awesome clan and their plans for the future. 1. What’s the story of FILO, how did the clan come about? I’ve been running clans for the best part of 15 years and throughout that time I’ve made some great friends. Once, in one of the games a group of us was playing, we began to lose focus and I became afraid that, as we all lived in different countries, we’d lose touch. Although World of Tanks was in its infancy back then, it appealed to quite a large number of us and FILO was born. On the 18th April 2011, I set up the clan and around 35 people joined that day or the day after. Most of that group of friends are still in touch and gaming together five years on – so thanks WarGaming and World of Tanks for keeping us together. 2. What are your clan goals? To be honest, apart from having the best darn community in the game, I’ve never really given much thought to it? Most people come to one of the FILO clans because they’ve heard of us in game, have been recommended, or know someone who’s already in. I can be pretty open when I say this about FILO – ‘Once bitten, forever smitten’ – people have come and gone, but more often than not, they always come back! Most of the folks in FILO clans would say that we might not be the best or most competitive of clans but what we lack in skill we make up for in loyalty, fun, and determination. We’d love to take land on the Clan Wars map again, play in competitions and strongholds, and I’m pretty sure we will – but we’re damn sure that we’re going to have fun doing it too! 3. What separates FILO from other clans? I try really hard to get that across to new members – FILO is like a gaming family – I might be the leader of the community but I would never put myself out of reach of any of the members. You might actually say I’m perhaps the most open and easy to talk to clan leader there is – but you’d have to ask the community to answer that! 4. What’s been you’re most memorable clan moment to date? For me, back in the early days when there was just FILO, we had a wonderful clan wars commander called Chrusaor (who’s now a good friend of mine). Through a huge amount of work and effort on his part and the guys in the clan, we spent months on the World Map and ended up with around 350,000 gold in the clan treasury. It was an awesome time to be in FILO and one of my personal high points. However, we’ve also launched some fantastic careers and seeing people like QuickyBaby and RitaGamer turn into the super WoT celebrities that they are today really makes me proud to say that they started in FILO. We have one of the largest streaming communities in the EU (I think) and all of our streamers make me so proud every time they turn on their webcams. GnomeRanger [FILOX] said that his most memorable moment was getting to meet lots of fellow FILO members and Tankfest 2015. A few other FILO members have said that our 5th birthday party stream on the 16/17th April was a high point for them – giving away nearly £500 worth of prizes over the two days, and having some epic battles and laughs with the viewers on Twitch. 5. Do you have any special traditions or regular events? Not really, although Tankfest is becoming a regular yearly gathering for FILO members. This year we’re hoping to have around 20-25 attendees and we’re sharing some space on a stall inside the venue with a business partner, along with our good friend SirHavoc and his community. The aim being to promote both of our communities and of course, WarGaming and World of Tanks. 6. Your clan is one of, if not the oldest on the EU servers, what do you feel has kept the clan going for so long? If I’m honest, I have no idea – my magnetic personality perhaps? To be fair, I think it’s the members of the community. Like Crusadertank1 said previously, we’re like a big, gaming family and quite honestly, I get the impression, from what people tell me, that they enjoy being a part of it. Sure, people don’t always get on, sometimes there are ‘heated discussions’ and occasionally, folks leave – but more often than not, they stay and they want to be around for a long time. There is a definite pride that I feel in the people in FILO and I think they feel it too. Occasionally I get reports from players in game that one of our members might have behaved ‘inappropriately’ – I always reply quickly, personally and politely. We all know how tempers flare in game, people are just stupid sometimes – but at the end of the day it’s a game and I can’t be the ‘FILO Police’ 24hrs a day. I think people in game respect me for both my honesty and candour when dealing with game related issues. GnomeRanger said this of FILO, ‘It’s the biggest bunch of weird, crazy and heartwarming people I’ve met in a long time!’ – maybe that’s why we’re still together five years on? 7. What is your favourite feature/aspect in World of Tanks? Firstly, I’ve always like the multiplayer aspect of it – I’d love to see 5 man platoons but with 3-man platoons, 7vs7, strongholds and Clan Wars, there is always something to do as a team. However, if you’re not in the mood – just go out alone – no one will judge you for it! In terms of features – I love how the game has developed since it first started and how the devs have recently started to listen more to the community about content and changes. The recent update in physics and sound has transformed the game into something fresh and exciting again – just what the doctor ordered! 8. Have you ever had any clan gatherings? If so, how did it go? Yes – as I said previously, Tankfest has become a bit of a regular ‘highlight’ on the clan’s calendar. It’s great when we get together in ‘real life’ – spending the amount of time together that we all do online, meeting up for real seems no different. It’s not hard to talk, share a ‘few’ beers or dinner – we don’t even always talk about gaming! When FILO members get together it’s like you’re just going out with friends – actually, hang on, that’s exactly what you are doing!! With other clans I’ve been in or run, I’ve had some epic ‘gatherings’ – I’ve spent time in Sweden, Prague and even Washington DC meeting up with clan mates, having a drink and doing other cool things together. 9. What advice would you give to players looking to create their own clan or join a clan? The single most important thing when creating or joining a clan is to know what you want to get out of it. Are you a seriously competitive gamer who wants to win everything they can, play every night and get to the top of the leader boards or are you more of a social gamer who’s just letting off some steam, relaxing and chilling out? Decide what you want out of both the game and then a clan or community and don’t be afraid to ask questions. Good clans will always invite you to their TeamSpeak (or other) comms server for a chat. If a clan promises the earth, check out their stats and those of their players – don’t be suckered in to something you just won’t enjoy. Also, if you join a clan and don’t like it, never worry about leaving. I’ve always said to everyone that joins the FILO community – you’ll never find me begging anyone to stay. If they come to us and don’t like it – they leave. I always wish people the best of luck with their new clan and I never close the door – if they want to come back because things don’t work out elsewhere, that’s fine. Above all, remember, don’t work too hard – this is a computer game and when you switch off your PC at night, it goes away. Unless you’re part of a ‘league’ team who plays competitively as a career, you’ll burn yourself out for a load of people who really couldn't care less about how stressful you might think it is to run a clan! 10. What does the future hold for FILO? More of the same hopefully! FILO is one of those communities that just works – people come and go but nothing much changes. Most of the core membership actually doesn’t change either – they come for the games and stay for the community. We’d like to be a bit more competitive and have a few more active players for events and clan wars – but hey – we have people who are trying to drive that forward. 11. Are you currently recruiting new members? If so, how would someone apply? Yes, we’re always recruiting. FILO, FILO2 and FILO-X all have roughly the same requirements although FILO-X is currently looking to recruit more active, clan wars ready players. FILO and FILO2 have decent activity but they are more for people who like to platoon – with the occasional Strongholds game or competition entry. However, we’d love to have three fully active clans, but that’s going to take some hard work from our recruiters! 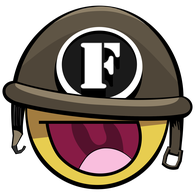 If you’d like to become a part of the FILO community, please check out the three clans on the World of Tanks clan website, message me or other ‘senior staff’ in game or drop us a message through the World of Tanks forum system. As I said before, we’re also a streamer heavy community, so you can always look up our streamers on Twitch and say hi there. 12. Finally, sum up your clan in one word? Big thanks to the FILO community for this interview and congratulations on their anniversary!